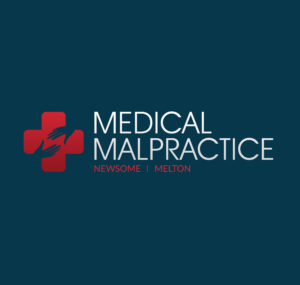 Common Malpractice Cases: Burn Treatments & Burn Therapy | Legal help resource for people affected by dental & medical malpractice. Fires, kitchen accidents, chemicals, and vehicular accidents can all cause serious burn injuries. There are certain types of medical treatments, known as “burn therapy”, which can minimize the damage of a burn injury as well as soothe the pain. This includes the need to clean and redress the burn wounds whenever necessary. Dermabrasion and skin grafts can be used in order to replace skin tissues as well as minimize or conceal any scars that might form. Any disfigurement caused by the burn injury can be fixed using dermabrasion, in which scar tissue is smoothed over and the skin is scraped. Skin grafting is a procedure in which healthy skin is transplanted from a different part of the body for use on the part of the body affected by the burn. There are risks involved with skin grafting and dermabrasion procedures such as a permanent change of skin color, infection, scarring, bleeding, an uneven surface of the skin, or a loss of sensitivity in the area of the burn. If such treatments are improperly applied to a burn victim leading to any of the previous issues, he or she may have the right to sue for medical malpractice. Any medical professionals involved with performing dermabrasion on a burn victim in a negligent manner or in a way that deviates from accepted standard of practice, are subject to a medical malpractice lawsuit. Any hospital or medical care unit where the procedure took place can also be held liable. If a physician improperly conducts a skin graft on a burn victim, such as transplanting healthy skin from one part of his or her body to another when it is not necessary, both the physician and the hospital at which the procedure took place can be held liable for the negligence. If a burn victim patient believes he or she has been negligently treated or treated below the accepted standard of care during a dermabrasion or skin grafting procedure, an attorney should be consulted. Before hiring an attorney, make sure that he or she is experienced in medical malpractice lawsuits involving burn injuries or any cases that involve burn injury procedures such as skin grafting and dermabrasion. The attorney will be able to properly begin the procedure of filing a medical malpractice lawsuit. In most jurisdictions it is required that the patient file a summons and a complaint against the offending party in order to begin the medical malpractice lawsuit. An attorney will be able to answer any further questions about medical malpractice lawsuits as well as estimate the amount of damages the patient will most likely receive from the lawsuit.